To raise money for its many improvements the foundation hosted several events through the years, such as the Cinco de Mayo Fiesta, Hacienda Nights Food Trucks, October Fest and the Hacienda Holiday Faire, with all profits going directly toward continual refurbishments. 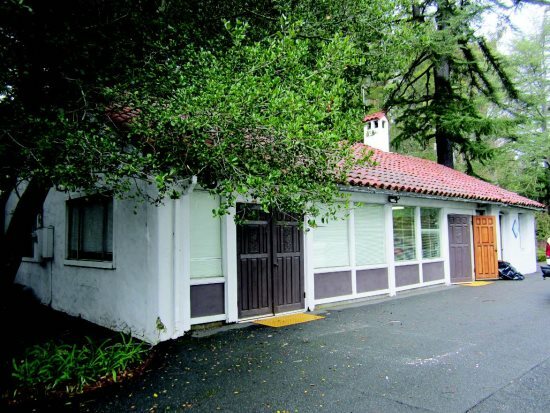 With the dissolving of The Hacienda Foundation, the organization has generously donated $120,000 with the hopes that it would turn the Casita into a general purpose room that the community could use for recreational classes or a meeting room for various community groups and organizations. Having these purposes in mind, the Casita could become an additional source of revenue for the Hacienda. 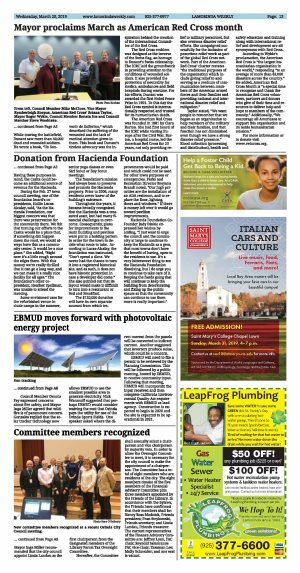 During the Feb. 27 town council meeting, one of the foundation board's co-presidents, Hollie Lucas-Alcalay, said, "As the Hacienda Foundation, our biggest concern was that there was preservation for the community there. We felt that turning our efforts to the Casita would be a place that, if something did happen down the road, we would always have this as a community center. It would be a nice place." She added, "Right now it's a little rough around the edges there. With this money we're really thrilled that it can go a long way, and we can make it a really nice facility for all ages." The foundation's other co-president, Heather Spellman, was unable to attend the meeting. Some envisioned uses for the refurbished venue include camps in the summer, senior yoga classes or even Girl Scout or Boy Scout meetings. The foundation's mission had always been to preserve and promote the Hacienda property. Prior to 2006, many residents never knew of the building's existence. Throughout the years, it became broadly recognized that the Hacienda was a treasured asset, but had many financial challenges to overcome. Consequently, plans for improvements to the main building and pavilion were put in a holding pattern in order for the town to decide what route to take. According to Lucas-Alcalay, the foundation was instructed, "Don't spend a dime. We never had the chance to turn it into a registered historical site, and as such, it does not have historic protection in case a developer did come." She also pointed out that its layout would make it difficult to turn into a restaurant or Bed and Breakfast. The $120,000 donation will have its own separate account from which improvements would be paid and which could not be used for other town purposes or emergencies. Parks and Recreation Director Breyana Brandt noted, "Our high priorities are the installation of an ADA restroom, and to replace the floor, lighting, doors and windows." If there is money left over it would go toward pavilion improvements. 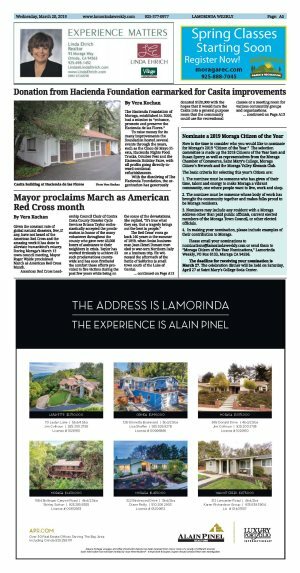 Hacienda Foundation Co-Founder Judy Dinkle expressed her wishes by adding, "I just want to urge the council and the community at large to continue to keep the Hacienda as a gem, that most towns don't have the benefit of having, open to the residents to use. It's a very bittersweet thing to see the Hacienda Foundation dissolving, but I do urge you to continue to take care of it. Keeping the funds going that will continue to keep the building from deteriorating and fixing up the public spaces so that the community can continue to use them more is really important."